Considering gas prices are always fluctuating, it can be frustrating to stick to a gas budget. While you can’t control gas prices, what you CAN control are your driving habits — which can actually affect the frequency at which you need to fuel up. The cooler the gas temperature, the denser the gas — which means more for your money. Visit gas stations early in the morning or later at night, especially during warmer months. This prevents you from getting less gas when fueling up at the hottest time of day. The slower you accelerate, the more efficiently your vehicle will use gas; accelerating too quickly burns more gas. Racing and speeding may be fun from time to time, but focus on driving at or just under the speed limit to consume less gas. Allowing the engine to idle when you’re waiting for someone not only burns through gas, but contributes to pollution. Plus, running the air conditioner at the same time consumes gas even more quickly. Whenever the moment presents itself, turn off your engine for extra savings. Holding off on filling up until the “E for empty” light pops up can be detrimental to your gas budget, especially if you’re traveling and gas stations are few and far between. In most cases, you’ll be forced to fuel up at the nearest gas station offering less than desirable gas prices. Be strategic about when you refuel so you can visit the gas station of your choice, instead of relying on the nearest location. Gas prices are often higher at gas stations located on or near interstates and highways. This is because most people stop out of convenience without taking a few extra minutes to find lower prices. Whenever possible, drive into the nearest town or use your smartphone to find other gas stations that offer lower prices. 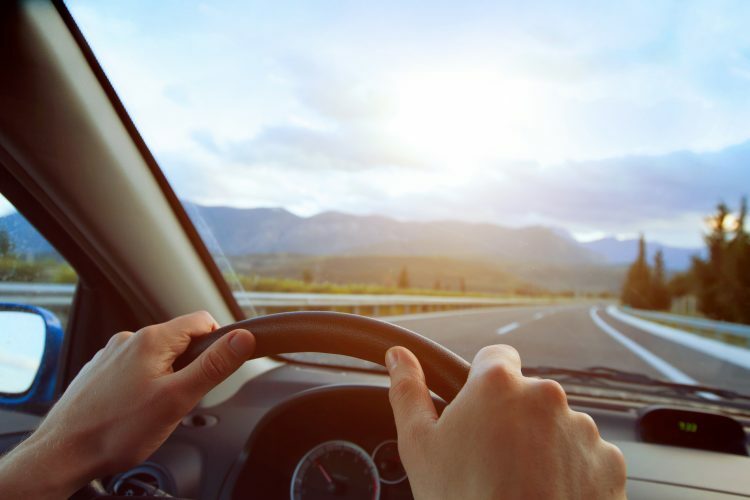 When you’ve adopted the habit of driving everywhere, it can be easy to overlook alternate forms of transportation, even when you live close to your destination. Consider walking or riding your bike for the sake of being more active and saving money. If driving is unavoidable, consider running all your errands at the same time so you don’t have to take extra trips. If it’s cold out, only warm up your vehicle for between 30 and 60 seconds. Allowing the engine to idle for more than one minute wastes gas and releases emissions. This rule mostly applies to newer and modern vehicles. For guidance on your own vehicle, consult the manufacturer or a trusted mechanic for feedback and recommendations. Slamming the brakes too often puts wear and tear on your vehicle, and results in quicker gas consumption. Avoid tailgating vehicles in front of you so you can brake more slowly at red lights. Most trims on modern vehicles are designed to minimize wind resistance for better gas mileage. To further improve wind resistance, try keeping windows closed whenever possible — especially on the interstate. Also, remove accessories that can interfere with wind resistance, such as luggage racks, bicycle racks, and ski racks. Putting the wrong motor oil into your vehicle can wreak havoc on your engine and lead to wasted gas. The owner’s manual for your vehicle will tell you which motor oil to use. If you can’t find this information, contact your vehicle’s manufacturer, do an online search, or consult with your mechanic. Save even more on gas prices with free gift cards you can earn from iRazoo. Sign up for iRazoo today to earn points that can be redeemed for prepaid Visa cards and PayPal Cash. Then, use these funds to pay for gas at participating locations. Copyright © 2019 iRazoo™ (iRazoo LLC) All Rights Reserved. All trademarks and registered trademarks appearing on this website are the properties of the respective owners. Said owners do not endorse nor are they affiliated with iRazoo.com or its promotions.